Should you pay attention to best before dates? Is it okay to put hot food in the fridge? All of us have asked questions like these before. 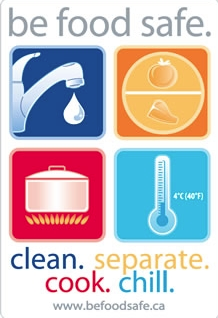 Safe food handling is just as important as being food secure and more than 90% of food poisoning cases happen at home (Health Canada, 2013). Visit Still Tasty above for answers to all your food safety questions!